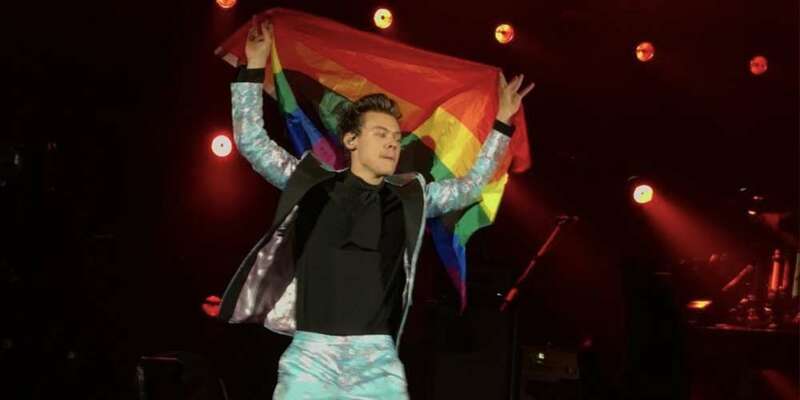 At least three major gay websites have begun questioning whether former One Direction singer Harry Styles is bisexual because of the recently articulated lyrics of his unreleased song, Medicine, which the 24-year-old singer performed at a recent European concert. But these Harry Styles bisexual claims are perhaps overstated. After all, a singer’s lyrics aren’t always about themselves per se. The lyrics have since gotten Twitter fans to proclaim Styles as a queer man, but perhaps that’s a bit like calling Glee actor Kevin McHale gay just because he posted a picture of himself holding another man’s hand — it’s premature at worst and wishful thinking at best. But like, McHale, Styles has long showed support for the LGBTQ community. Back in 2014, he showed his support for out NFL star Michael Sam. When One Direction performed in Missouri — the player’s home state and home for Sam’s team, the St. Louis Rams — Styles stepped out for the show in Sam’s Rams jersey, to cheers from the crowd. 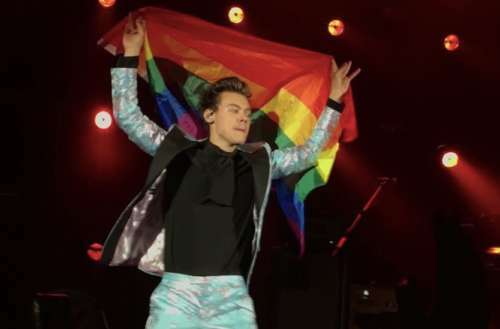 One year later, he donned a rainbow flag during another concert, something he also did in September 2017. He also voiced his support for gay and trans people during a 2017 live performance. All of these things are great, but, like his lyrics, they don’t necessarily mean he’s bisexual. We get that there are so few openly bisexual male celebrities that we’re hungry for one, but don’t start feasting before Styles officially announces the meal, eh? What do you think of this Harry Styles bisexual rumor? Sound off in the comments.